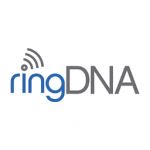 RingDNA is a call tracking software that enables users to make, record, and analyze calls. It also has functionalities that can be used for coaching teams, such as call monitoring and adding supervisor notes. In this article, we cover user reviews. Ready to try RingDNA? Get a free trial. Users who gave RingDNA a positive review said that they like the software’s simple and easy-to-use user interface that enables them to manage their leads and sales calls easier. Most users also commended RingDNA’s smooth integration with Salesforce. One user who gave RingDNA a positive review on G2 Crowd noted that both the administrator and agent user interface are intuitive and easy to use. He also appreciated the software’s easy and clean Salesforce integration, as well as their support team’s fast and helpful response to inquiries and questions. Users who gave RingDNA a negative review complained that there are a few essential niche features, like the whisper functionality, that this software does not have. However, they pointed out that no single product has all the vital features needed and that RingDNA’s support team is extremely helpful when it comes to dealing with their difficulties in using the software. One user who gave RingDNA a review on G2 Crowd suggested that the software should have a call coaching or whisper feature in order to enable managers to speak to a representative on the phone, without the client hearing. He also noted how it is quite difficult for their representatives to set up a conference or three-way call when they need to include multiple users. RingDNA does not publish its pricing on its website, but paid apps similar to it have prices that range from $50 to $149 per user per month. Most similar software offers customized pricing options depending on the number of users, amount of usage, and features included. Ready to try out RingDNA? Get a free trial. Does RingDNA allow tracking of calls from specific websites? Yes. RingDNA has a call tracking system that allows users to associate a local or toll-free number with a specific referral source. It then displays the associated number on your website once a lead clicks through from that referral website. Can users track calls for offline marketing campaigns using RingDNA? Yes. RingDNA lets users generate trackable phone numbers for any piece of offline marketing campaign, such as radio and TV ads, event materials, business cards, presentations, and more. Not sure if RingDNA is the right fit for you? Read our reviews of all top call tracking software providers or check out one of these three RingDNA competitors. The main thing I liked about RingDNA was that it gave my team complete control over how and when they contacted their prospects. We also had unprecedented visibility into activity history and calls that were being logged. Prior to installing RingDNA, we had been big users of Connect and Sell — RingDNA brought a level of visibility that we simply hadn’t had before. One of the best ways that RingDNA worked well for us was through our reporting — we were able to provide more strategic attribution of our call attempts on opportunities that were being generated by our sales team. The biggest challenge with RingDNA was that it didn’t allow for us to push through a high volume of calls (due to the click to call nature of the tool). RingDNA provides fantastic reporting abilities through SFDC. 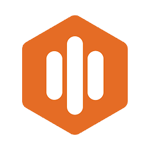 It’s also a great tool for customizing our outreach to prospects. It was challenging to tackle a large volume of call tasks, primarily because it is more of a one-off dialer (you aren’t able to dial several prospects at the same time). Nothing – I was satisfied with the product. My only complaint about RDNA was once or twice there was an outage and it put a complete halt to our sales team briefly. Their team was always on the ball and was able to fix the problems in a timely manner. As a user, I have no complaints about the software, I would use it again in a heartbeat, and there nothing I wish I had known prior to using.